The business value of traditional performance management models is collapsing. While these legacy systems still inform decision-making around compensation, promotions, terminations, and other compliance-mandated functions, they’ve become irrelevant to actually improving performance or its management. They do not measurably add value. Instead of better clarifying expectations and building morale, the traditional annual appraisal aspect of performance management (PM) alienates talented and typical employees alike. Managers dislike it, too. Even as personal and enterprise tools and technologies have radically improved, performance management systems have not. And while the nature of work and the workplace have grown more data-driven and analytical, performance management has not kept pace. Perennial complaints — rigidity, opacity, unfairness, arbitrariness, and an inherent backward-looking bias — persist. 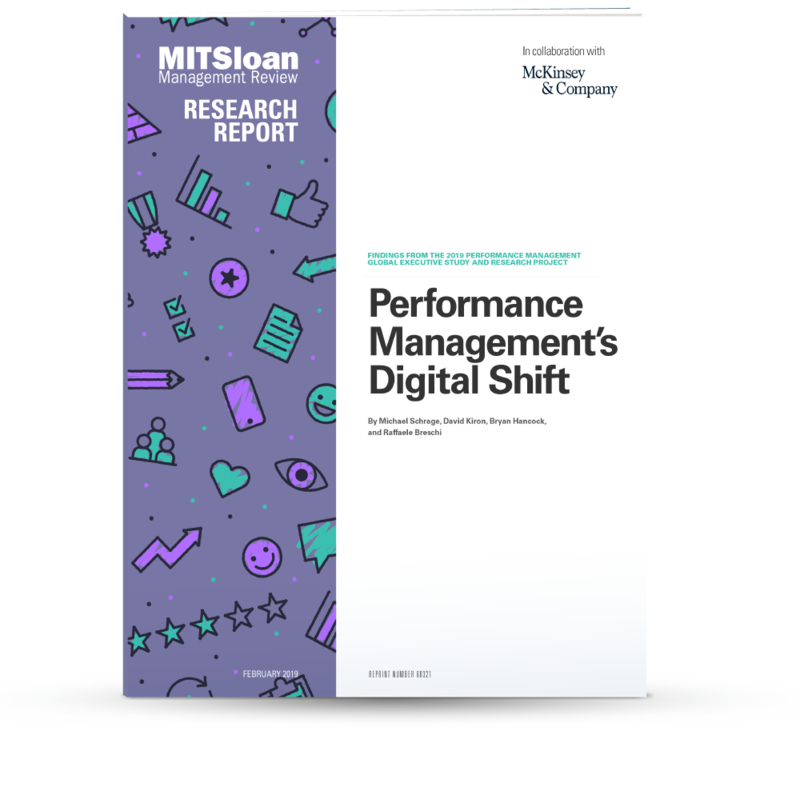 Across industries, serious companies recognize that competing effectively in digital business environments demands a new approach to performance management. Technological innovation, the changing nature of work, and digital transformation all enable and create new demand for novel PM approaches. Getting performance management right is culturally critical to strategic execution in rapidly evolving business environments. The technology-based future of performance management is an essential component of leading successful digital transformation. Our research offers clear evidence that the future of PM is more data-driven, more flexible, more continuous, and more development-oriented. It’s focused not just on individual employees, but on skills and teams. (Read below about IBM’s move to catalog employee skills, a digital indexing effort that marshals skills, not just roles, to get work done.) It emphasizes technology-enabled, continuous improvement, self-service/DIY skills development, and automated coaching tools. The ways that feedback is given, when, and by whom — and how it is both received and acted upon — are changing. The research and analysis for this report were conducted under the direction of the authors as part of an MIT Sloan Management Review research initiative in collaboration with and sponsored by McKinsey & Company. This global executive research study about the future of performance management is based on more than 30 interviews with leading industry experts. Bryan Hancock is a partner at McKinsey & Company based in Washington, D.C. He is the global leader of McKinsey’s client service on talent. Raffaele Breschi is an associate partner at McKinsey & Company based in Dubai, where he leads work in organization and performance improvement. 1. D. Kiron and B. Spindel, “Rebooting Work for a Digital Era: How IBM Reimagined Talent and Performance Management,” MIT Sloan Management Review, February 2019. 2. S. Chowdhury, E. Hioe, and B. Schaninger, “Harnessing the Power of Performance Management,” McKinsey & Company, April 2018, www.mckinsey.com. 3. “Performance Management Benchmark Report,” Reflektive, 2018, www.reflektive.com. 4. S. Kasriel, “Skill, Re-skill, and Re-skill Again. How to Keep Up With the Future of Work,” World Economic Forum, July 31, 2017; and J. Manyika, “What Is the Future of Work?” McKinsey Global Institute, December 2017. 5. P. Korkki, “Why Employee Ranking Can Backfire,” The New York Times, July 11, 2015; and S. Rodriguez, “Inside Facebook’s ‘Cult-like’ Workplace, Where Dissent Is Discouraged and Employees Pretend to Be Happy All the Time,” CNBC, Jan. 8, 2019, www.cnbc.com. While forced rankings can have damaging effects on corporate cultures, they can be a useful tool for differentiating employees under the right circumstances. Forced rankings, for instance, can help managers differentiate top performers (for the purpose of retention and promotion) from the bottom performers (for the purpose of remediation or termination). Forced rankings are less useful for making distinctions among mid-level performers. 6. J. Gassée, “How Microsoft’s Human Resources Culture Drove Away Talent,” The Guardian, Aug. 13, 2012. 7. A. Goldsmith, “How Millennials Are Disrupting the Workplace ― for the Better,” Forbes, Dec. 18, 2017. 8. B. Rashid, “The Rise of the Freelancer Economy,” Forbes, Jan. 26, 2016. 9. B. Beardsley, “Winning with Data Science, Golden State Warriors Style,” Dataconomy, July 4, 2017, https://dataconomy.com. 10. RobD, “Houston Rockets and ‘Moreyball,’” Harvard Business School Digital Initiative, April 9, 2018, https://digit.hbs.org. 11. L. Bock, “The Humu Nudge Engine Is Making Work Better — Here’s How,” Humu, Oct. 8, 2018. https://humu.com. 12. In some cases, employees may prefer to receive feedback from automated tools, especially if the feedback is developmental or would otherwise embarrass the employee if a manager were to deliver the information. MIT SMR Home Performance Management	McKinsey & Company	Copyright © Massachusetts Institute of Technology, 1977–2019. All rights reserved.